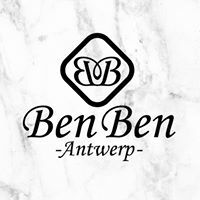 Geretti is deel van een netwerk van lokale handelaars die zich hebben verenigd in één cadeaubon, de Cadeaubon Antwerpen. Established in 1929 in Antwerp, the Diamond Capital of the world, Geretti manufactures fine jewellery combining authentic craftsmanship, creative design and modern technology to obtain a brilliant result. Visit our boutique and discover the beauty of a natural diamond. You can choose from our permanent collection or help us create the jewel of your dreams. You can rely on our dynamic multilingual team of experts to help you find the perfect diamond for your special occasion or specific demand. 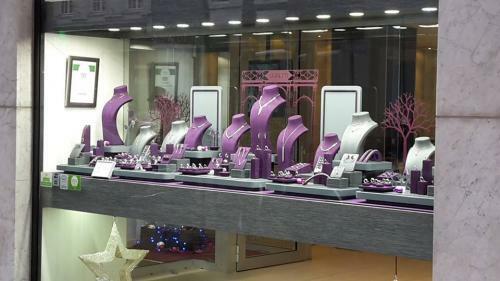 At Geretti you can find a large selection of jewellery in 18 KT gold and Platinum from the best Italian quality . We also carry loose diamonds and mountings to personalise your jewel and reveal the beauty of the stone. 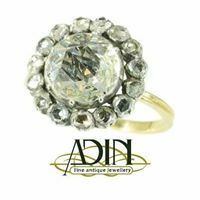 As the diamond is the most valued part of your jewel we try to give you the best advice in order to improve the shining and fire of the stone in the jewel. You can choose the model from our collection or together we can create the design that will be the most elegant for the diamond you selected and handcrafted by our tream. A diamond is the most precious of all stones and has an eternal shining , you can wear a diamond anyplace anytime anywhere.